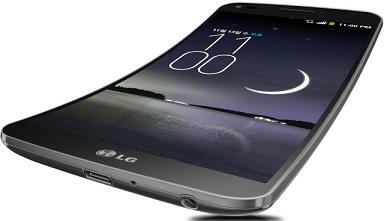 World's first flexible curved smartphone is just released in India around 2014 Jan by LG, named G Flex. It is available at $215 at online stores. Grab quickly, only a few pcs available. Key features of G Flex includes 6 Inch HD (720p) curved plastic OLED display. It is powered by 2.26 GHz Quad Core Snapdragon 800 processor. The device has 2GB RAM and enough 32GB internal storage. However, it does not have microSD slot for memory expansion. G Flex comes with latest Android 4.2 Jelly Bean operating system. Even though Android 4.4 KitKat is on its way arrived recently LG has opted for Jelly Bean this time. The phone is very highly priced at least in India. Its self-healing back panel is really appreciable. Also its internals, chassis are flexible along with the curved display.